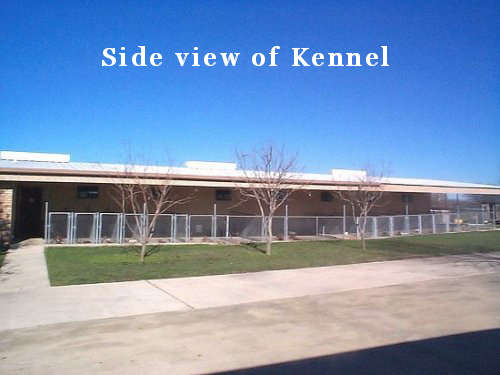 This is the Outside View of the side of the Kennel. Here you can see that some of the runs are small and some are large. The bigger runs work very well when you can get several Toy Poodles and Yorkies that get along together with one another. They have plenty of room to run around. You can see that the roof is vented also which helps during the summer time to remove a lot of the heat buildup in the attic.